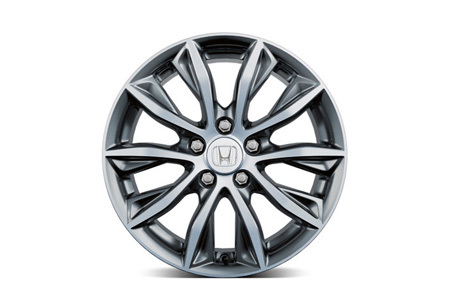 Description: Wheel size: 16 x 6,5J - Tyre size: 205/55 R16 - 7 spoke design - Diamond Cut A-Surface with Clear Coat. Blade Silver Windows - Diamond cut center cap - WVTA approved. 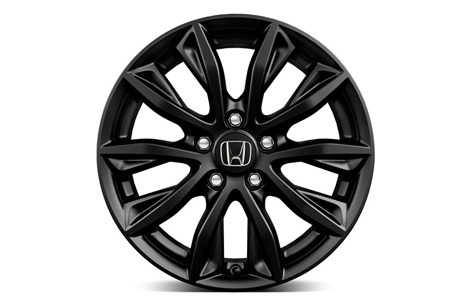 Description: Wheel size: 17 x 7J - 5 spoke design - Diamond cut A-surface with matte clear coat & gunpowder black windows - Diamond cut center cap - WVTA approved. 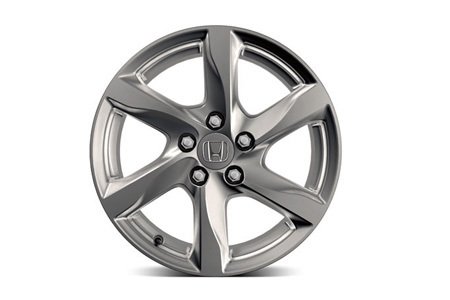 Description: Wheel size: 17 x 7J - 6 spoke design - Full colour chrome shadow surface and windows - Chrome shadow center cap - WVTA approved. Description: Wheel size: 17 x 7J - Split 5 spoke design - Full Gunpowder Black finish with matte clearcoat - Diamond cut center cap - WVTA approved. 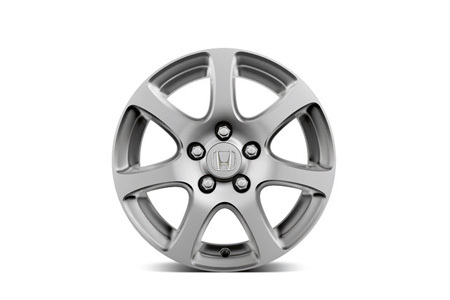 Description: Wheel size: 17 x 7J - Split 5 spoke design - Diamond cut A-surface with clear coat & rombo silver windows - Diamond cut center cap - WVTA approved. 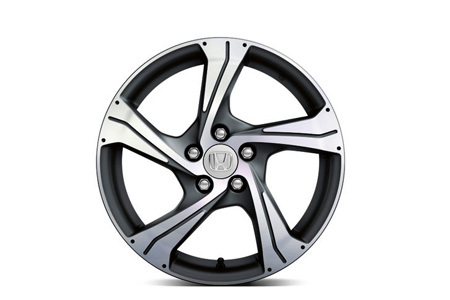 Description: Wheel size: 18 x 7,5J - 5 spoke design - Diamond cut A-surface with matte clear coat & gunpowder black windows - Diamond cut center cap - WVTA approved. 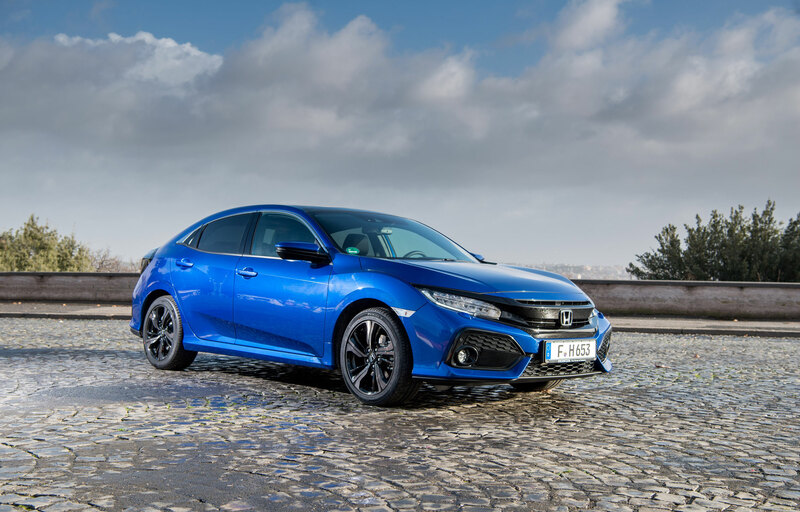 NB - Only applicable to models with 17" Standard Factory Wheels. 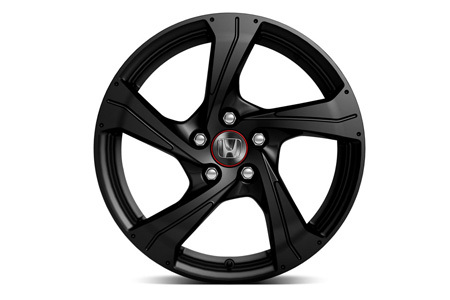 Description: Wheel size: 18 x 7,5J - 5 spoke design - Full colour Gunpowder Black finish with matte clearcoat - Sporty center cap with red accent ring - WVTA approved. 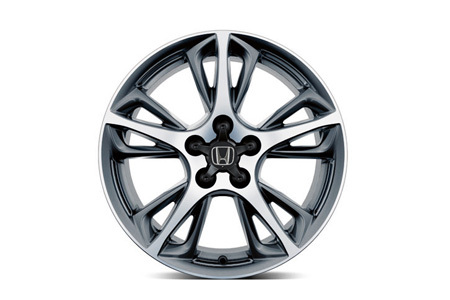 NB - Only applicable to models with 17" Standard Factory Wheels. 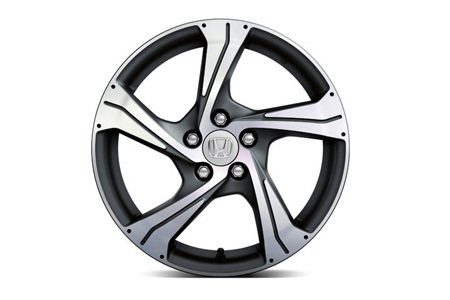 Description: Wheel size: 18 x 7,5J - Split 5 spoke design - Diamond cut A-surface with clear coat & black pearl windows - Special center cap with carbon look texture - WVTA approved. 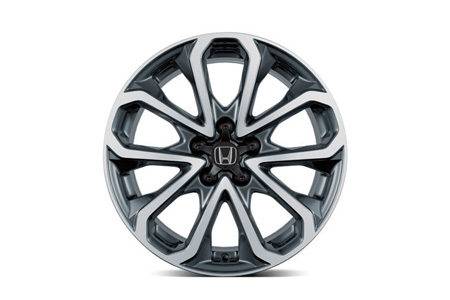 NB - Only applicable to models with 17" Standard Factory Wheels. 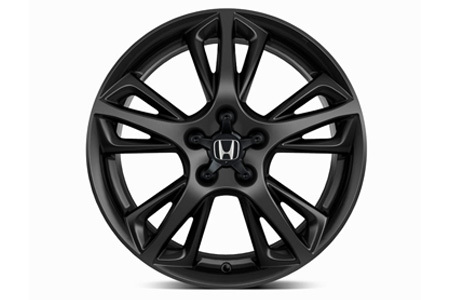 Description: Wheel size: 18 x 7,5J - Split 5 spoke design - Full colour Gunpowder Black finish with matte clearcoat - Special center cap with carbon look texture - WVTA approved. 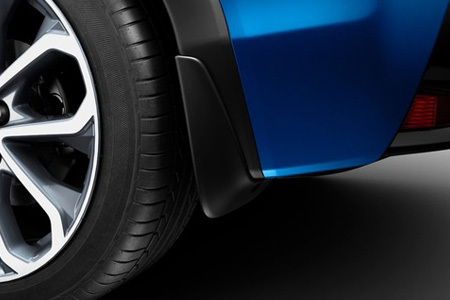 NB - Only applicable to models with 17" Standard Factory Wheels. 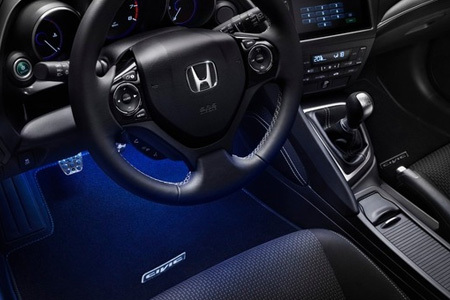 Description: Illuminates the front foot area to give a cool and sophisticated atmoshere to the interior of your car. Controlled through headlights and opening of door. 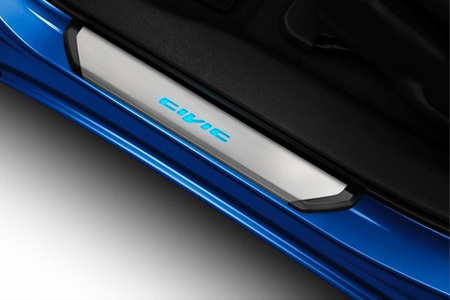 Description: This attractive and sporty accessory allows you to add a personal touch to your car while protecting its door sills. Crafted in stainless steel with a brushed finish and a black surrounding garnish. 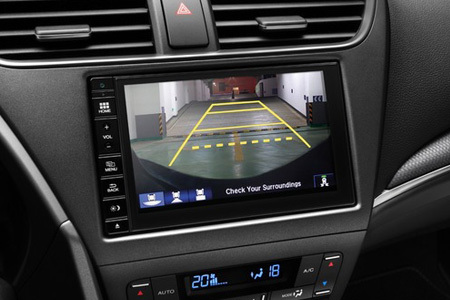 Description: As soon as you shift in reverse, a rear camera view appears on the car's intelligent-Multi Information Display (iMID), offering you the safety and confidence of a full view of what is happening behind your car. Description: This tablet holder can fit any tablet with dimensions varrying from 7" to 11,6". Tiltable for best view. 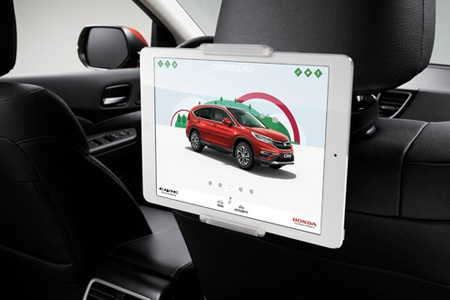 Including base carrier to fit your car's headrest. 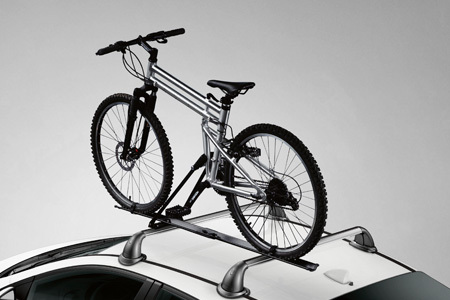 Description: Transport a bicycle on the roof of your car. The Bicycle Attachment - Easy Fit offers an easy fixation by providing a slot that keeps your bicycle upright and your hands free while you strap down your bicycle. 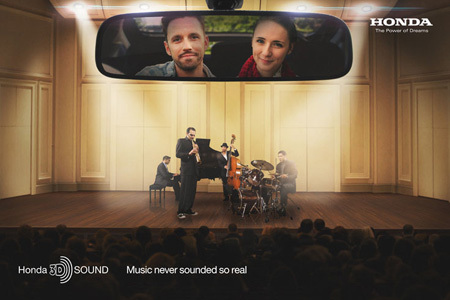 Featuring anti-theft lock. 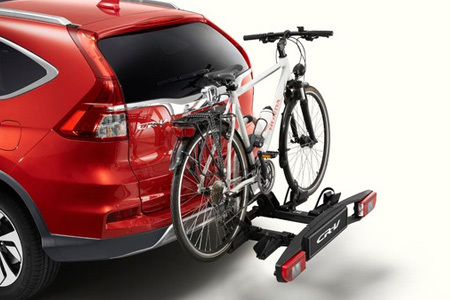 Description: Transport up to two bicycles on your Trailer Hitch. Quick and easy to install and easily foldable for storage. Tilting function allows access to the boot. Holder and bicycles can be locked to secure against theft. Includes 13 pin connector. Description: The Convenience Pack is a package of accessories stylishly designed to protect your car from scrapes, scratches, mud and sand. The pack contains Mudguards, Doorstep Garnishes and a Trunk Tray. Description: This sturdy, waterproof box fits securely to the roof rack and gives you an extra 350 litres of storage space. Features an anti-theft lock. The maximum load is 50 kg. Dimensions: 150 cm x 90 cm x 35 cm (L x W x H). 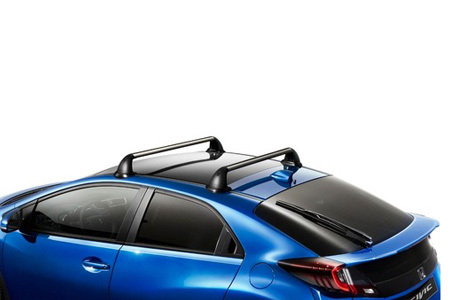 Description: Expand your car's carrying capacity with a strong, secure roof rack. Including 4 locks. 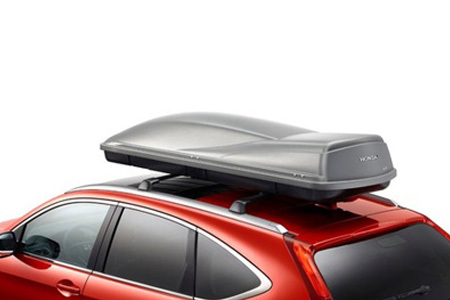 Maximum load capacity: 40 kg (max 45 kg on roof). Only for cars with glass roof. 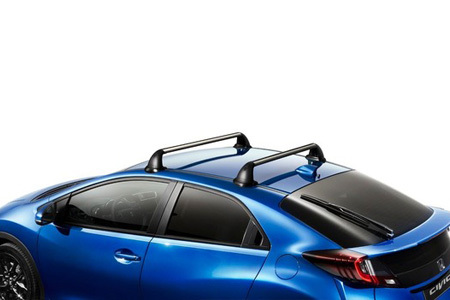 Description: Expand your car's carrying capacity with a strong, secure roof rack. Including 4 locks. 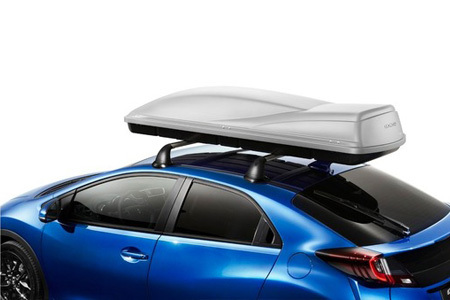 Maximum load capacity: 60 kg (max 65 kg on roof). Only for cars without glass roof. Description:Easy-to-use ski holder for three or four pairs of skis (depending on the size of the skis) or two snowboards. Skis / snowboards are securely fastened between two rubber profiles that are kind to the equipment. Easy to fit without tools. 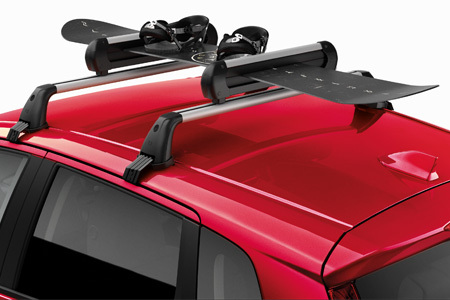 Description:This lockable, roof-mounted box offers 430 L additional storage space when you need to pack up skis or snowboards. Technical specifications : Volume - 430 litres, Dimensions (cm)- Length 197 / width 83 / height 38, Weight - 18kg, Material - UV resistant.